Let me tell you an incredible story about how dramatic our world has shifted away from the scarcity of the past, and the trends that shift with it. Back when I was a kid (a long time ago, in a galaxy far away), we had a TV. 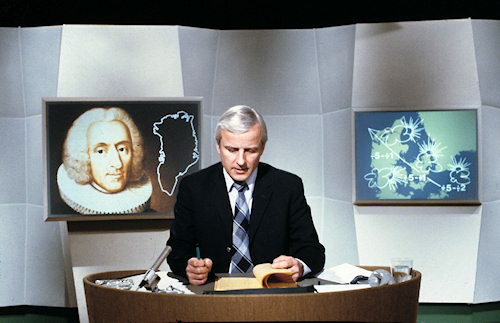 And on this TV, we could watch only one channel, and that was DR (Danish Radio). The amazing thing about this was that our need for information was so big that we willingly went out to buy what was then a hugely expensive TV, so that we could watch only one channel. And everyone else did it too. Every home I knew had a TV, and they could also only watch one channel. It made DR the most successful TV station in the country and it was very well liked. Many years later we got a second channel, TV2. That was even more amazing. For the first time ever, we had a choice of programming. If there was something on the first channel that we didn't like, we could just change the channel to see if there was something better. Can you imagine anything like this happening today? If you were to ask a young person to buy a TV with only two channels, they would look at you as if you were some kind of idiot. And when you then say "But these two channels have a little bit of everything. Morning TV, social documentaries around lunch time, a kids' show in the afternoon, evening news, and maybe a TV show or a movie depending on what day it is. Isn't that a wonderful package? ", they immediately run away, because surely you must be an escaped mental patient.